Developing a hernia can be scary, and in certain circumstances can become very serious. There are multiple types of hernias, but they all generally refer to the same occurrence. “[A hernia] may be operationally defined as the abnormal protrusion of a structure through a defect in the tissues that normally contain that structure. Although a hernia can occur at various sites of the body, these defects most commonly involve the abdominal wall, particularly the groin region,” explains Dr. Ryan Neinstein, founder of Neinstein Plastic Surgery. If you have a hernia, don’t worry, Dr. Neinstein explains that these are very common and can be treated either non-surgically or surgically. If you’re wondering how a hernia might impact your workouts, read on. In most cases, you won’t be able to keep up with your normal fitness schedule. But with some adjustments, returning to exercise with or after a hernia doesn’t have to be so daunting. Once you have the green light to return back to your normal routine it’s important to remain strong and continue working out the right way. The exercises that you’ll be able to do moving forward depend on the size, location, and seriousness of your hernia. “You may experience pain in the area of your hernia or when bending over. Also, weakness, pressure, and a burning sensation can occur,” explains Jason Kozma of High Performance Personal Training. Keep in mind that workouts are not out of the question when you are diagnosed with a hernia. 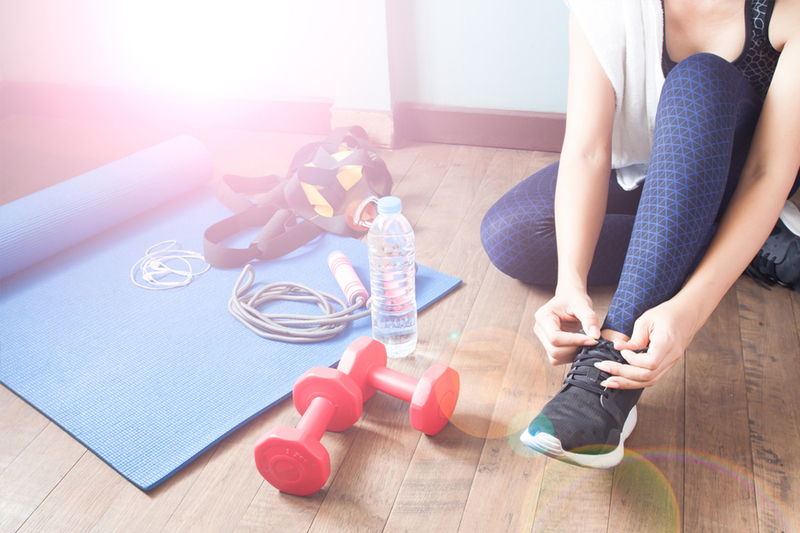 Sticking to your exercises, strengthening the abdominal muscles, reducing fat, and focusing on body awareness will help contribute to a balanced lifestyle moving forward. Giving up on your workouts is not the answer, but knowing what workouts to avoid is. “Performing exercises that target muscles around the hernia should be avoided. For example, if an individual has an abdominal hernia, abdominal exercises such [as] sit-ups and reverse abdominal crunches should be avoided,” explains Dr. Rick Kattouf II, founder of TeamKattouf® Nutrition LLC. Lifting heavy weights—this may cause unwanted strain. You don’t want to turn a mild hernia into something more serious. When exercising you want to really tune into your body and see how you feel, especially in the affected area. Never forget that you will want to stay away from workouts that may cause strain and inflict pain. Opting for workouts that can offer an aerobic exercise without placing strain and stress on your abdomen is the way to go. “Exercising will help clear any symptoms and aid in the prevention of having a reoccurrence. For example, doing exercises to strengthen the abs without putting extra intra-abdominal pressure will be key to recovery,” says Michelle DuVall, founder of Barre Variations. Consider trying some of these workouts as you continue to deal with your hernia. Note: Talk to your doctor before beginning or continuing any workout routine with a hernia. Only a professional can guide you to make the right fitness decisions for your situation and recovery. Water workouts do not require any type of heavy lifting and are generally considered low-impact. There are so many options, from traditional water aerobics to dance workouts done in the water. Proceed with caution, as certain style of bikes may not work for you and your injury. For example, a traditional outdoor or spin bike may place you in a position that will apply strain or pressure on the core. It’s best to stick to a recumbent bike—you will receive much more support and avoid the strain. In many cases, continuing a running regime is OK. If, however, the bulge from your hernia is causing pain or is inflamed, you will want to steer clear from it and see a doctor immediately. Dance is an excellent option for a cardio routine. However, be aware of any twisting motions that may place strain on the center of the body. The practice has several benefits, including a milder approach to rebuilding strength in the affected area. “Yoga can help strengthen the tissues around the hernia and thus potentially prevent the need for surgery, or make the surgical procedure smaller and more approachable for the patient,” explains Lauren Duhamel, a celebrity fitness trainer. The biggest takeaway is that having a hernia doesn’t mean that you can’t exercise, but rather it means practicing the right form of exercise. And again, talk to your doctor before starting any exercise program with or after a hernia. You deserved that break. Now, let’s get back to work.